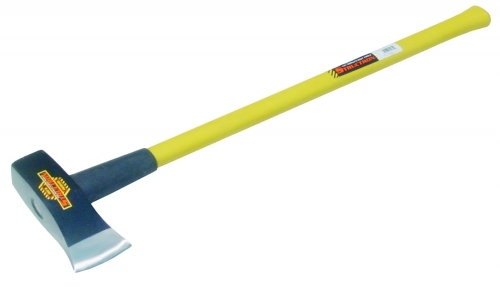 Fiberglass splitting maul 6-lb with yellow fiberglass handle and black painted head with polished and beveled edges. 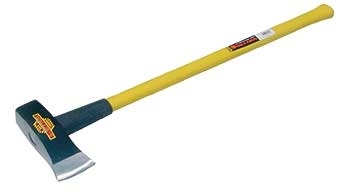 Fiberglass splitting maul 8-lb black painted head with yellow 36 inch fiberglass handle. 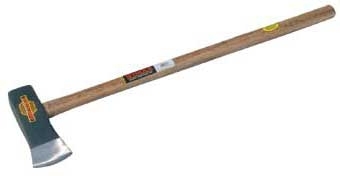 Splitting maul 6 pound with black painted head and 36 inch hickory wood handle with sledge eye. Splitting maul 8 pound with 36 inch hickory wood handle and polished beveled edges.